There have already been a lot of great TVs rolled out in 2019, but only one rolls up. 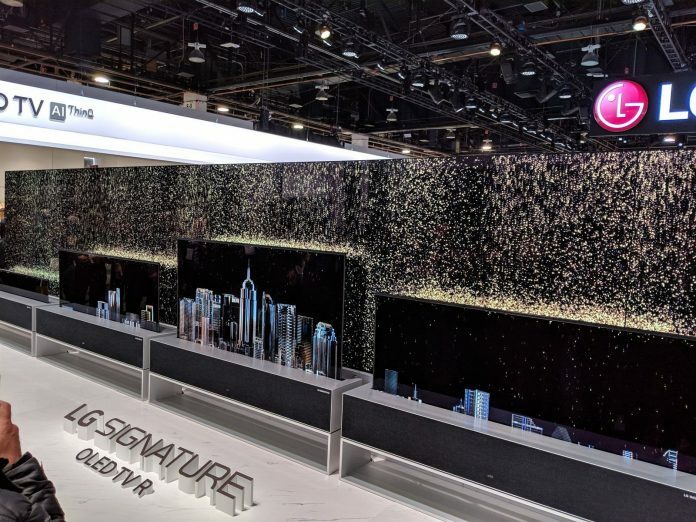 The LG SIGNATURE OLED TV R (65R9), aka LG’s rollable television, was the undoubted star of CES 2019, and here, in one short video clip is all you need to know about it. The LG Signature Rollable 65R9 OLED TV is unapologetic AV futurism. Cooler than a penguin’s larder, this 4K TV unrolls at the touch of a button, and then retracts from view when not needed. As you can see above, it’s purest poetry in motion. LG has a habit of pushing the design envelope with OLED tech. Its wafer thin W (‘wallpaper’) model from 2017 was the first to effectively deconstruct the traditional flatscreen. This latest wheeze is even more elaborate. Previous articleBest OLED TV of 2019? LG’s rollable TV is worth the hype but is it worth the money?